Keeping your home nice and warm during the winter doesn’t have to cost you an arm and a leg. High energy bills during the winter month shouldn’t be the norm. There are several things you can do to keep your heating costs down this winter, but one of the best is also one of the simplest – use your thermostat. Get this, for every degree you turn down your thermostat this winter, you’ll use up to 3 percent less heating energy. 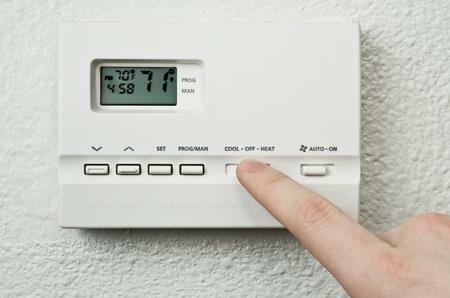 Try turning down your thermostat just 10 degrees when you’re gone at work or sleeping at night, so you can slash your heating bill significantly. So what are the Thermostat Savings? A better option might be to invest in a programmable thermostat! A programmable thermostat will help save you money and is energy efficent. With a programmable thermostat, you can cut your energy bills without even thinking about it. Just set the thermostat to turn down when you’re away from the house so you aren’t wasting energy when you’re not even home to use it. Who would have thought you could save so much just by using your thermostat? Sanders & Johnson can help you get your home’s heating in check this winter. 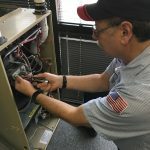 Whether you need Denver furnace repair, furnace installation, or maintenance, we can help CONTACT US.